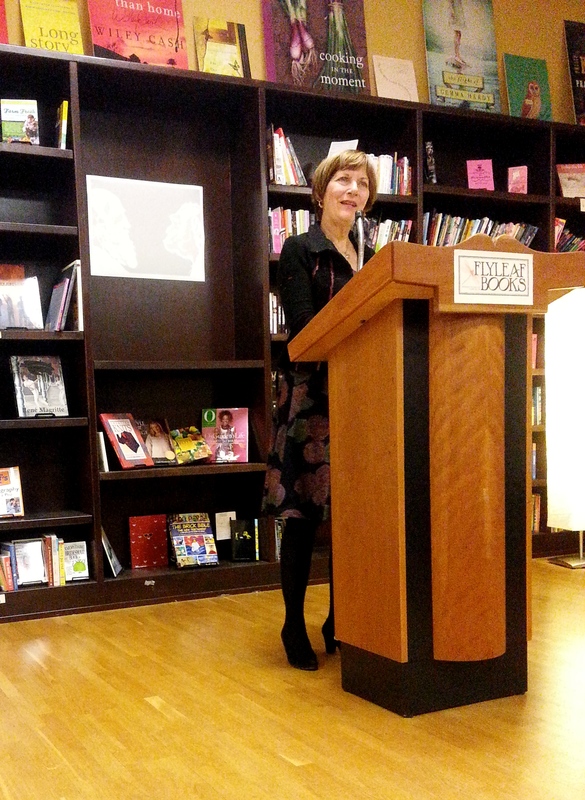 Corrigan’s lifelong love of books has lead to a profession focused on literature, and she shares her passion in all aspects of her career. She has worked at Georgetown University for the past 23 years as a lecturer and “critic-in-residence” while also acting as associate editor and contributor to Mystery and Suspense Writers, published by Scribner. Our favorite of her many jobs, though, has to be that she is a book critic for NPR’s Fresh Air with Terry Gross. Despite her star-studded profession as a public radio contributor, Corrigan is a warm, funny, sharp woman who is engrossed in her subject matter. She is an excellent speaker—and one could imagine—a tremendous force in the classroom. As she unravels each concept for the audience, she gestures with her arms while her bright blue eyes glimmer with enthusiasm. She speaks with the clarity and energy of a teacher who truly believes anyone around her can know and love her subject with a similar curiosity and joy. 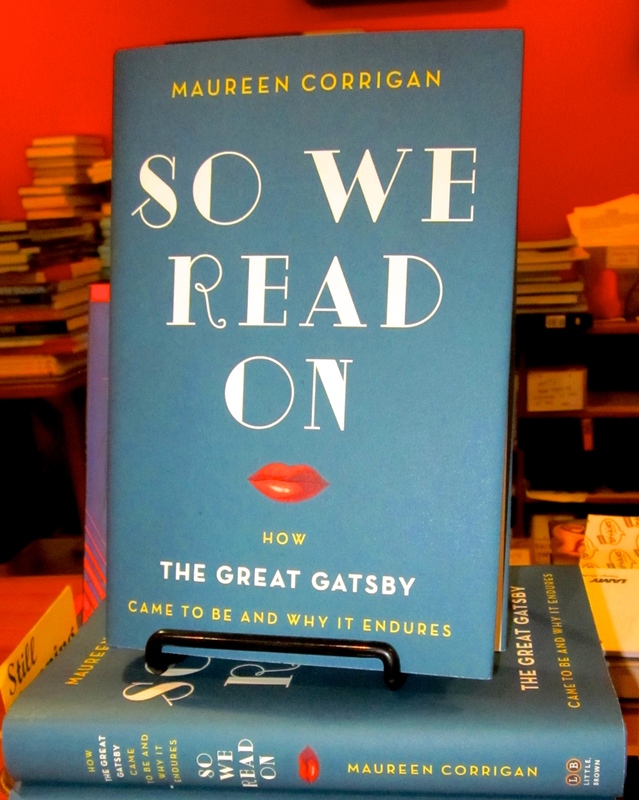 Maureen Corrigan’s engaging speaking style is matched only by the depth and breadth of her knowledge of The Great Gatsby’s emergence in American culture. She confesses to having first read The Great Gatsby in high school, but found it a “boring novel about rich people.” It wasn’t until her third time reading it much later that she fell “in love” with the story. Thus began a quest to explore how the novel went from moldering in storage to becoming “our national novel,” read by most high schoolers across the United States. In particular, Corrigan said that part of Fitzgerald’s novel’s appeal is that “Gatsby tells the central fable of America,” which is ultimately the celebration of “the doomed beauty of trying.” Situated pre-depression and post Gilded Age, The Great Gatsby was published in 1925 and was so disliked by critics that eventually the book was no longer shipped to stores, and over 20,000 copies were left in a Scribner’s warehouse as a loss. According to Corrigan, Fitzgerald’s last royalty check was only $13.13, and she claimed that the paltry sum came from royalties on copies he’d bought himself to give to friends. How, then, did The Great Gatsby achieve the All-American Comeback? In So We Read On, Corrigan tells the fascinating tale of Gatsby’s second chance. We hope you’ll go to a reading to learn of her travels to “the scariest research trip of all”—her old high school in Astoria, Queens, as well as Princeton’s library to seek out Fitzgerald’s papers. We hope you’ll read on as Corrigan uncovers The Great Gatsby’s saving graces (spoiler: World War II and literary giants like Maxwell Perkins) and offers insights into the famous author’s obsession with editing (spoiler: he penciled in changes into his own novel even after publication). 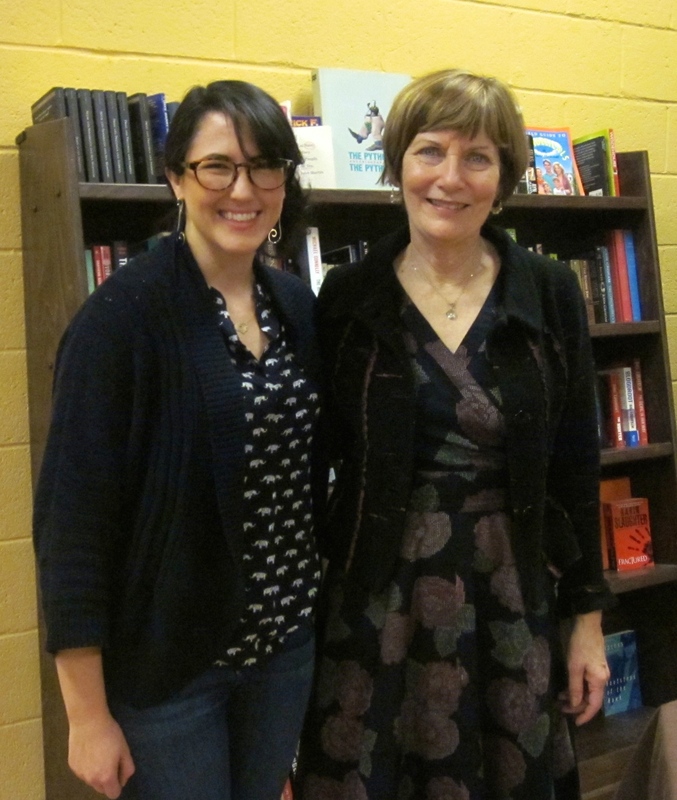 If you have a chance to listen to Maureen Corrigan speak live, we highly recommend you go. Even if it’s been since high school that you last read The Great Gatsby (or if you have yet to do so), we believe you’ll find the conversation quirky and engrossing in the best possible ways.